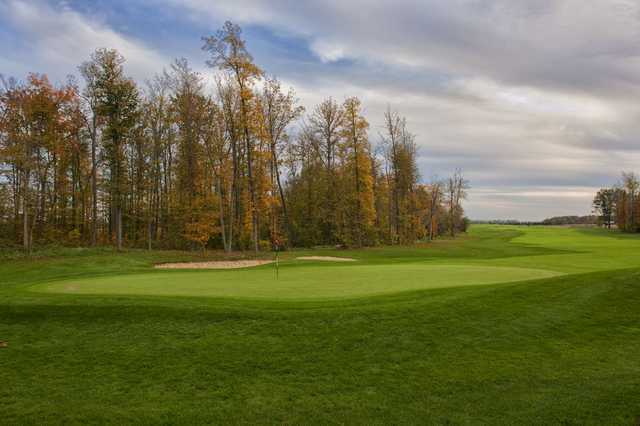 Red Hawk Run Golf Club is an Arthur Hills design that is known to locals for being one of the toughest golf courses in northwest Ohio. 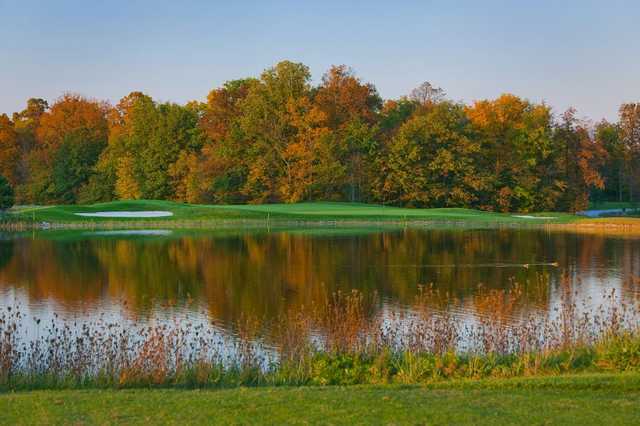 Water is a prominent feature of the course with both Red Hawk Lake and Eagle Lake coming into play. There are also six holes that play across a meandering creek. In addition to the water, strategically placed bunkers lurk along the greensides. 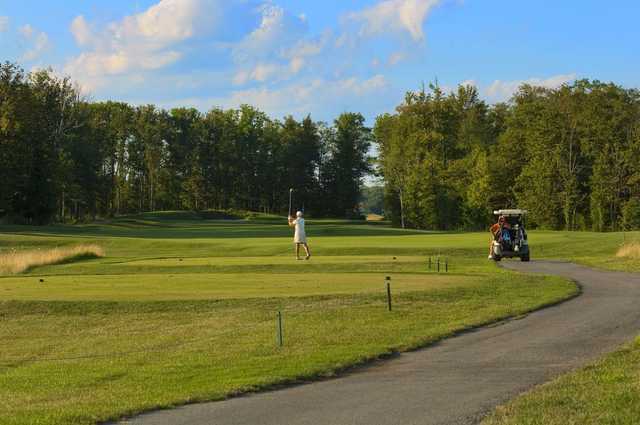 At more than 7,400 yards from the back tees, this demanding golf course is not for the faint of heart but there are five sets of tees total, which makes it more approachable for a wide range of skill levels. 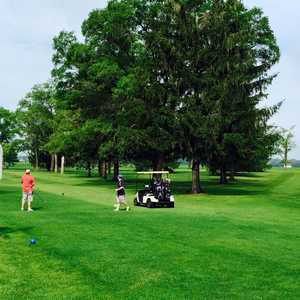 Besides the challenging layout, Red Hawk Run G.C. also boasts an impressive practice facility with an eight and a half-acre range that has both target greens and sand bunkers. Always stop here at least once a year with our travel group. The course has improved each of the last 3 years. Worth the drive from Toledo. Played here late in the season and was in GREAT shape. Greens were fast and receptive. Price was very fair and staff was very friendly. Course in GREAT late season shape. One of the best in Ohio. Can not wait to see it in mid season form. Conditions at Red Hawk have declined steadily to where this course is no longer worth a premium price. I've seen better maintenance at par three courses. Fairways are particularly poor with lots of blight/bare patches. Crabgrass is rampant - it's even in the bunkers. Staff couldn't care less and is quite defensive when conditions are brought to their attention. Not worth more than ~$20/round (including cart). The course has really come back from the drought of a few years ago. We have a traveling league of 24 guys ranging from 50 to 75 years of age and they all love the layout, condition, treatment by staff and price. We play the course twice each summer and couldn't be happier with our experience. 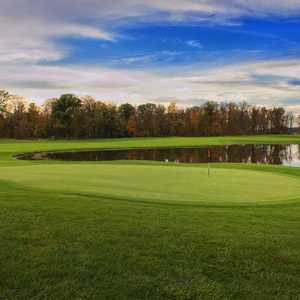 Red Hawk is one of the best public courses in this part of Ohio. Play it! Last Oct. my friend and I stopped at Red Hawk on the way to Flint, MI we enjoyed it so much that we are on the way back to Flint and have made plans to stop at RED HAWK RUN we play from Myrtle Beach SC to Phoenix AZ and from Meridian, MS to Richmond, VA and this is by far the best deal going it is well kelp and the price cannot be beat. GREAT people and GREAT course. Just played there last week, the course is in very good shape and the greens are rolling smooth. I will definitely make a trip back to play it again this summer. Go for the Stay and Play, book ahead. Great deal. Like the course, and wanted to play it this year with my foursome that travels. After 8 weeks of communicating with the head pro about our trip I was informed today that on one of the days there is an outing that will now cost $125 each to golf that day. We where quoted $90 for 54 holes over two days (in early May), guess we'll take our business elsewhere. Great Golf course. I look forward to playing up here several times a year. Always in great condition. 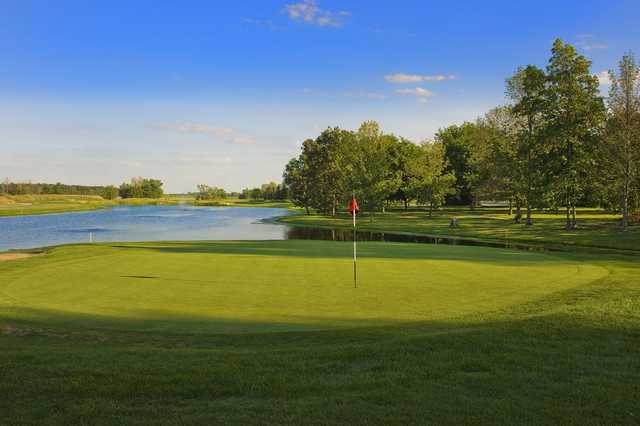 If you like this course you will also like Stoneridge in Bowling Green. 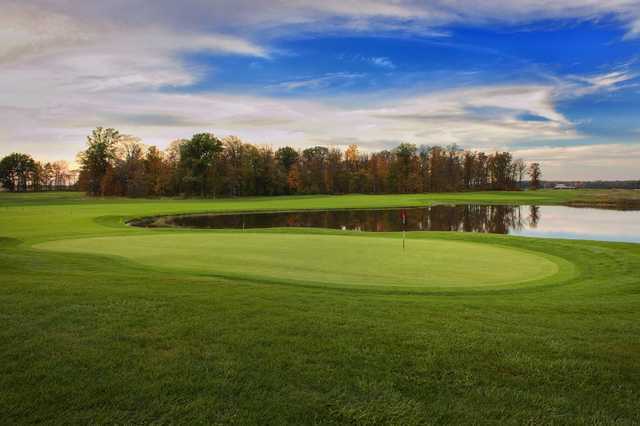 The 2 best courses I have played in NW Ohio.